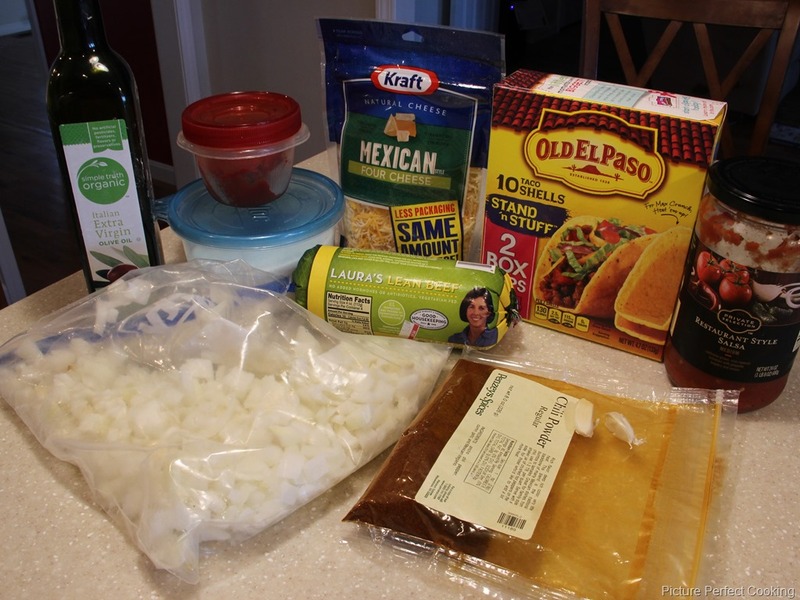 Tacos make a great weeknight supper because they are quick, easy and so tasty. I was looking a little different way to make them just to change things up a little and I found this recipe at Yummy, Healthy, Easy. I may now have a new favorite taco recipe. These were so good! Please excuse the photos. I was in a little too big a hurry when I took them so they are not the best. 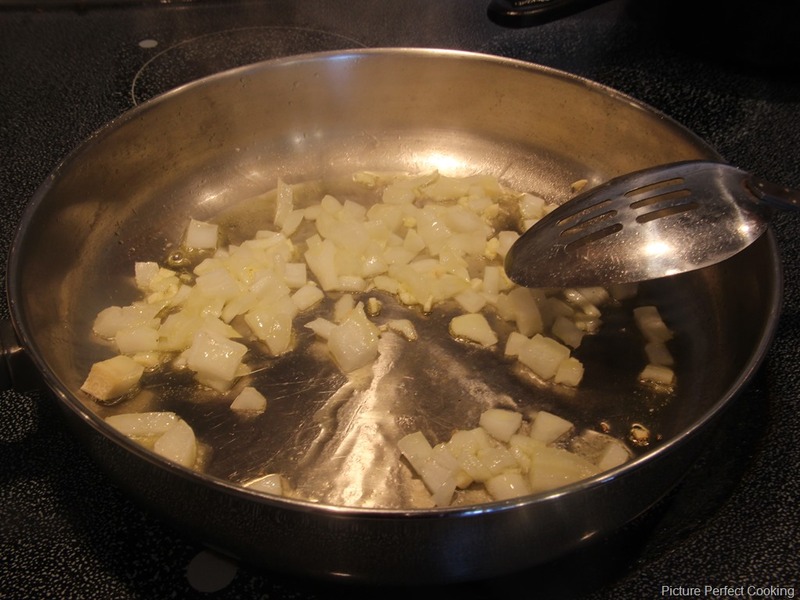 In a large skillet over medium heat, add the oil, onion and garlic. Cook this until the onions are translucent, about 5 minutes. Add the tomato paste and chili powder. 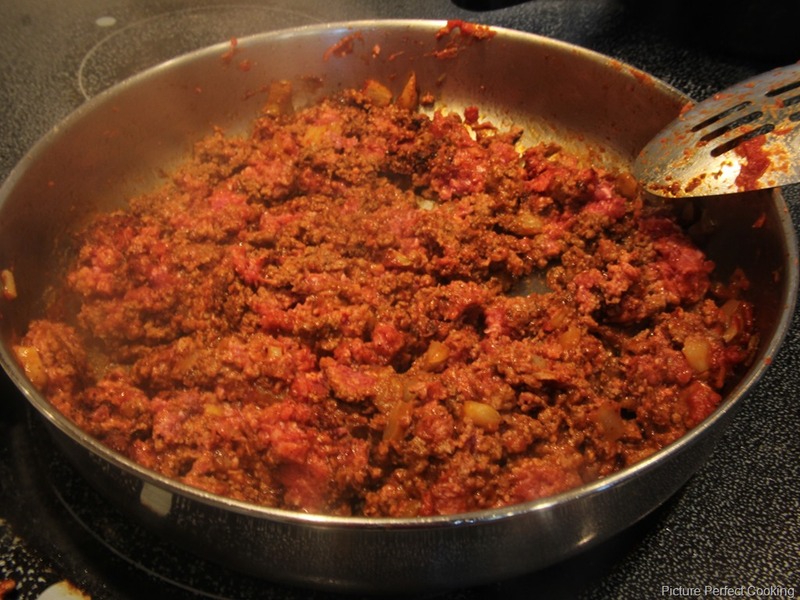 Add the ground beef and cook until there is no pink left in the meat. 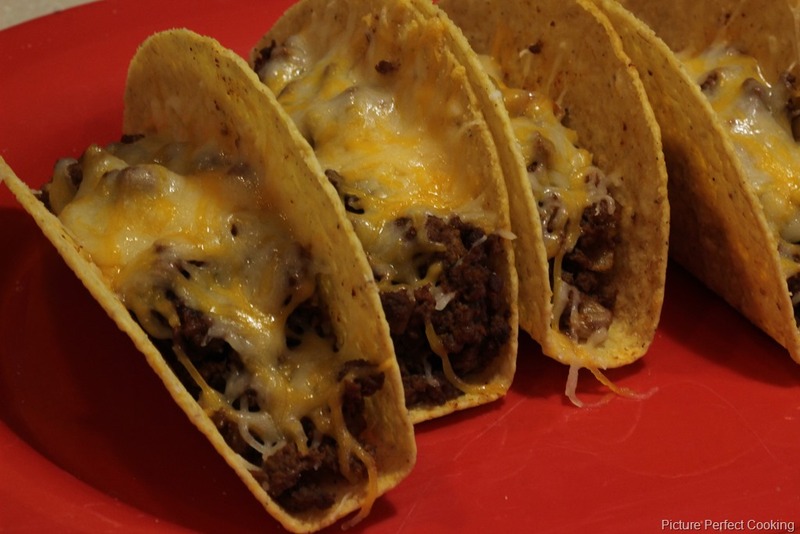 Fill the taco shells with the meat mixture and top with salsa and cheese. 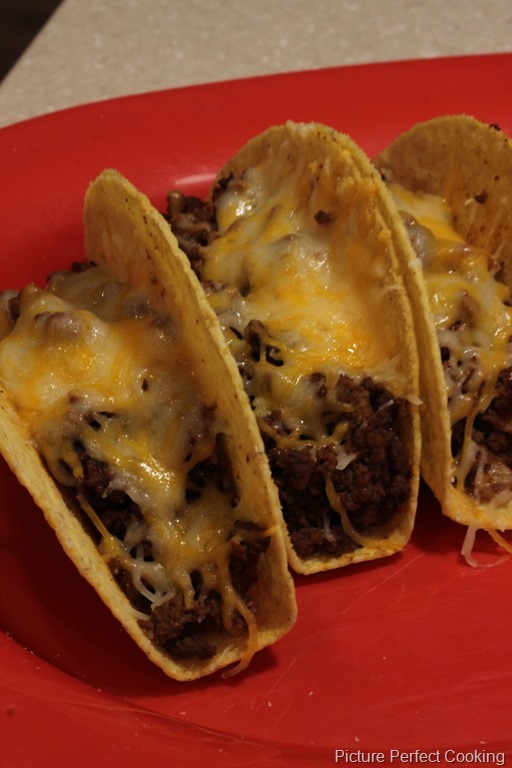 I then placed the tacos in a 300 degree oven just until the cheese was melted. Serve with your favorite toppings. Thanks so much! They were tasty. Yum!!! Thanks so much for sharing at Adorned From Above’s Link Party.